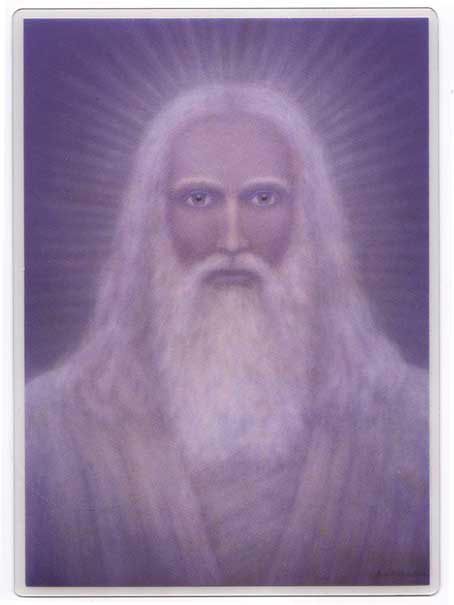 Lord Melchizedek is known to most individuals that step onto the pathway of Mastery. He makes himself known through our dreams and meditations. He is an amazing soul not only because of his stature but his essence is one of great concern, love, and admiration for all initiates stepping into Ascended Mastership. Lord Melchizedek is the overlighting energy of the Priesthood for all initiates and lightworkers. He represents the Universal and the Multi-Universal levels. He oversees the work that each of us is doing and assists us in many ways. Many think that you must be initiated by another individual to gain entry into his priesthood but this is so untrue. All we have to do is ask his permission. Most of us have worked with him in other timelines and on the inner plane so it is just an act through our consciousness to work with him in the present timeline. Please know that each initiate is guided into the temple and must show their diligence to have initiatory status within the priesthood. Most individuals that step into this work have been studying for many timelines and on the Innerplane to work with the Melchizedek Priesthood. The Melchizedek Priesthood, also known as the Order of Melchizedek, is a governing agent in the heavenly realms and has existed way beyond what is recorded. The main focus of the Order is that it is in charge of the consciousness reprogramming that is necessary to link physical creation with the externalization of the Divine Hierarchy. It is a royal priesthood that receives the voice of God for the sanctification of the people of Light. The re-adminstration and teaching affect the mental, emotional, physical, and spiritual states of existence and consciousness. The Order of Melchizedek as the anointing power to rewaken and resurrect the righteous people of the world into the Light of the higher worlds. They are the sons of truth behind historical wisdom. All initiates are considered for entryway into the priesthood by Lord Melchizedek himself. They teach spiritual principles to the planetary worlds. They have the ability to communicate with other celestial communities and brotherhoods of light throughout the universes of God, coordinating the work of the Christ energy in the heavens and on Earth.